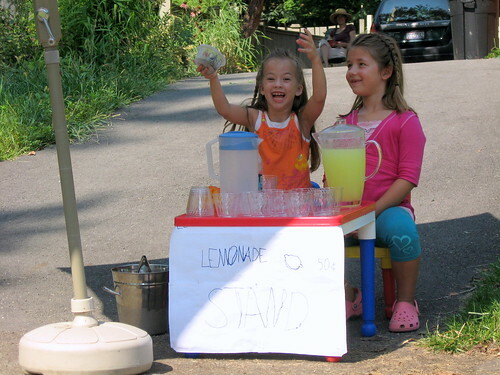 BFFs Lemonade Stand, originally uploaded by Seligmans Dog. Nearing the end of her first sleepover with Paige. This morning they were chanting the joy of pork while eating bacon and waffles and now a capitalistic end to the event. Should be interesting when, as 13-year old vegans, they look upon this.